I'm not sure if I'm putting this in the right place. It might belong under freeware. I put it here since I know many folks have been looking for a decent AI solution. I used AiG's AI Manager (beta 8.3,2) to successfully install 21 liveries in P3Dv4 yesterday evening and today. The one click installer (OCI) lives up to it's name. It does indeed install an airline with one click. United Connection has a problem that made it hang and forced me to close it's install, but I found a link to a file on their forum that when copied into a specified folder allows you to restart the one click a 2nd time to complete the installation. Skip UC if you don't want to futz with it for now. You can always add it later if you want it. The other 20 liveries I picked installed just fine. The flight plans are all from 2017 and 2018. It also used the new .xml add-on method and all everything is installed in a folder I picked outside of P3D. I'm getting lots of traffic and I have not seen any aircraft anomalies so far. The only issue that I have seen is that the AI aircraft lights are a bit too big but I read somewhere on AiG's forum that there are ways to fix them. The interface to AI Manager is still pretty sparse as they seem to be working on getting the functionality correct first. I didn't find any directions in my cursory search, so I just started clicking buttons. It turned out to be extremely simple to use. Here's what worked for me. Select Tool -> Preferences from the AI Manager menu. Click the bottom button on the left that says "AIGAIM - OCI (P3Dv4 only)"
Setup the path to where you want to install your AI under the "General Settings" label. I checked "Use only freeware" - take your pick. Select the livery you want (I have only tried the ones that have "True" in the OCI column so far - pick one for an initial test) and click install. You'll get a dialog box showing the livery name. Click "Install using OCI". Later on, I used the "Multiselection" check box, selected 10-12 liveries, and then hit "OCI-Bulk". It worked great. Has anyone else taken the plunge yet? Finally... Kudos to AiG! Nice work guys. Thank you! If anyone is into AI and cares for accuracy of flight plans and liveries, that's the way to go. I've abandoned the use of BGL plans after the World of AI stopped releasing new packages, simply because I got lazy and installing this thing manually was a major PITB. AIG's new manager is a game changer for me again and I'm back, proudly leaving UTL behind. Does this program download everything for you or do you have to find all the models, paints and plans? I am new to the world of AI guys. It does everything for you, like literally, few clicks and you're done. You see I never got into AI because it seemed like it took too much time for all of that nonsense. I mean, I want AI but i want to use the sim too and not fiddle! And, it converts textures to DDS as well so it really is one click. It is really great. You need to visit AIG's forums, setup an account and get going. I'd recommend some reading prior to understand how the whole thing is configured in terms of file structure etc. YET. That's one of the nice things about this. There will be updates. Constant updates. You probably need to register before it will let you see it. I forgot to mention. At first, I saw a limited number of available flight plans. From the Tool -> Preferences menu, click the "Flightplan updates" button. My install defaulted to "Winter 2018" so I changed it to "Summer 2017" and more liveries became available. American Eagle seems to have a problem. One click installer only works with Summer and Winter 2018 packages. It must have been blind luck that every one I selected was from 2018 or I might have had a problem trying to get the 2017 ones installed. You seem to know a lot about it, Are you one of the devs? I am thoroughly enjoying this. I started a flight at KIAD with the time set to 7:30AM tomorrow morning and just sat there checking out the traffic. United 2021 and United 221 roll by. Their flashing red labels say KIAD-TJSJ and KIAD - EGLL, respectively. I fired up Flightaware and searched for "Ual 2021" and "Ual 221". Yep. Both are supposed to depart KIAD around 8:30AM tomorrow. It looks like daylight savings time tripped up ESP again, but wow... the correct flights for the time and location? That was a very unexpected yet welcome surprise. \You seem to know a lot about it, Are you one of the devs? the correct flights for the time and location? That was a very unexpected yet welcome surprise. I think the destination map based on google maps and Gantt Chart are a pretty nice touch in the interface. I stand corrected, there are some FPs from Winter 2017 which recently became available for one click installer. I wasn't aware of it. AI Manager is really awesome. I got rid of TrafficGlobal and UTL and honestly don't plan to go back. Hi - I installed many AIG/AIFP plans several months ago using the AIFP compiler. Would I have to start from scratch in order to start using this new tool or will it work going forward to update/add new schedules? I feel you but I am lucky enough to have built those myself from AIG flightplans. As the IAM (OCI) versions are created, I am removing my versions so that I will be in sync with the AIM stuff going forward. There is a list of airlines that are scheduled for the Winter 2018 release available here (requires Alpha-India account). 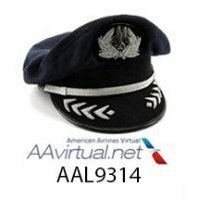 As of last night, AIM has provided 313 AI airlines. The application installs its own directory, placing all new models, repaints and flight plans automatically in it. When you start using AIGAIM, you will have to delete the older flight plans (the ones which you're now installing with AIGAIM) which were placed in the directory of your choice. I wouldn't delete any of the models, repaints that you've manually installed for the AIFP plans as not all of the 2016/2017 packages are yet available for AIGAIM. Let me know if this wasn't clear, I'll be happy to answer more questions.